Get a great deal from HP. 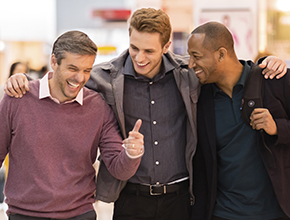 Invest in an HP Printer or in Original HP Supplies and receive cashback. Sort by product or promotion category using the above navigation menu. 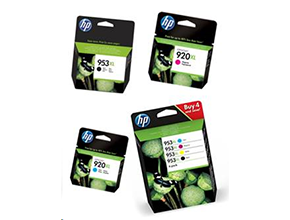 Just buy Original HP toner 2- or 3-packs and get up to £100 cashback! 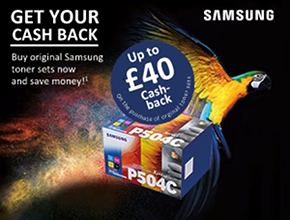 Purchase a qualifying Samsung Toner to benefit from HP cashback. 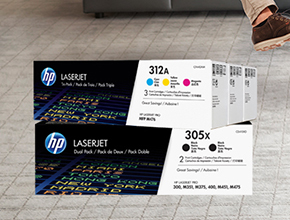 Purchase a qualifying HP OfficeJet, LaserJet or PageWide and benefit from HP cashback. For purchases from 1st of February. 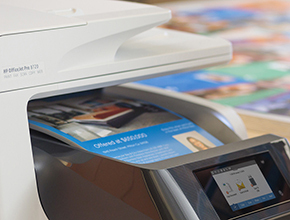 Purchase a qualifying Samsung Printer to benefit from HP cashback.